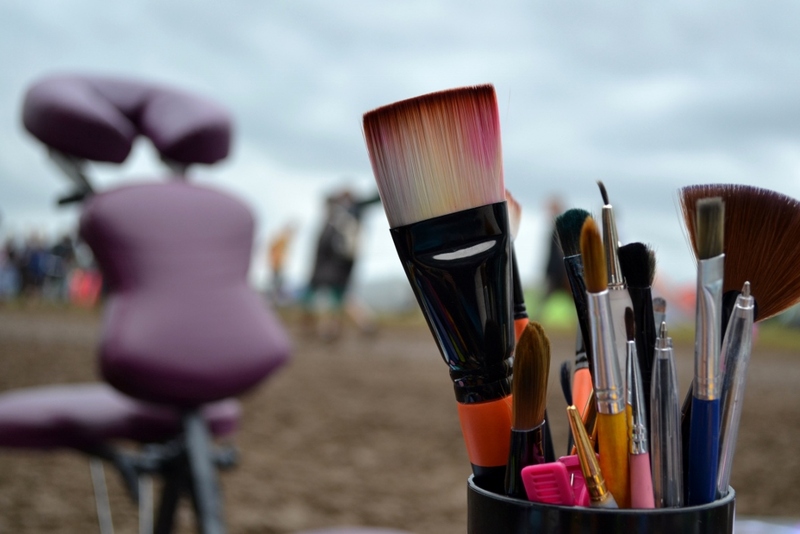 Vanity Van has a team of award winning face, body and make up artists, who specialise in producing art using the skin as a canvas. Our artists work regularly on TV, films and in the media. We can create or recreate almost anything using face & body art, including the theme, character, brand or special effect that most suits your event. At a busy event we often recommend our 15 minute face or body art treatments, which allows guests to get creative and is a really fun experience for adults and children alike. We can tailor this to suit the guests, with character face painting for children, through to stunning face art and body art for teenagers and adults. We can also style and paint your staff or guests to suit a themed party. 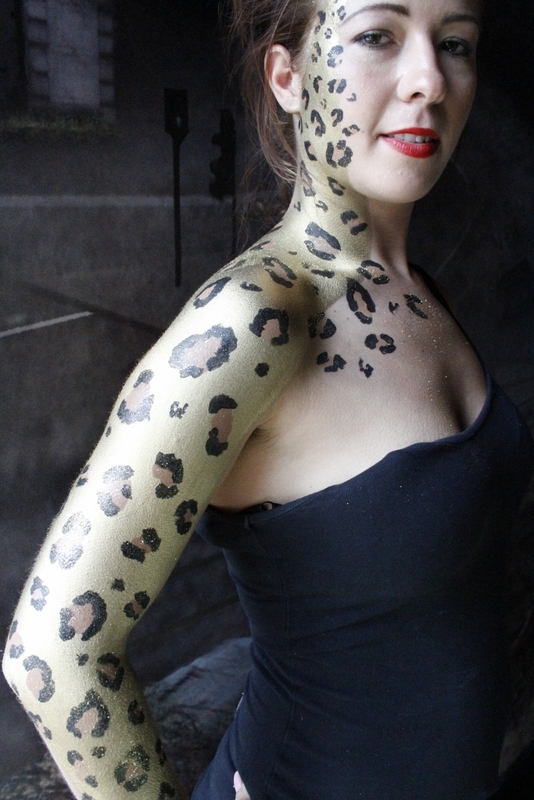 For experiential campaigns, exhibitions or brand or product launches, full body paint can have a very high impact, and really grabs the attention of the public, creating a talking point for visitors, and a memorable way to promote your brand name. We also have a huge array of professional temporary tattoos available to us and can create and print anything you desire for brand and product launches, experiential campaigns or even for a special occasion. 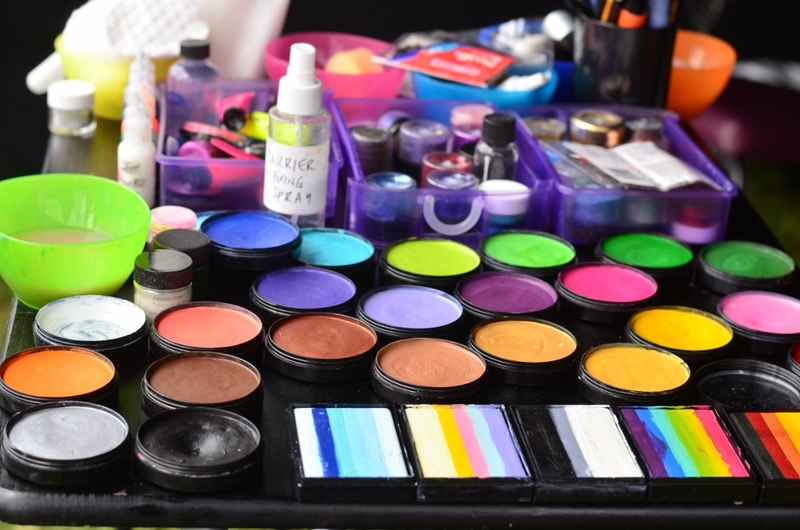 We use a wide array of professional face paints, body paints, airbrush liquids, prosthetics, glitters, sprays, make up, feathers, diamantes and anything else creative we can find. Our kits are extensive and varied and we can source whatever is required to bring your ideas to life for your event. We use brands such as Mehron, Snazaroo and Stargazer, to name a few. We always take care to use products that are hypoallergenic and kind to the skin. We are also able to create costumes for any fancy dress, character or theme requirements you may have. We have a number of costume designers within our team for bespoke requirements. Face & body art works best at themed events, however it is a fun activity at all events; you will be surprised how excited guests get about having something beautiful painted on them. 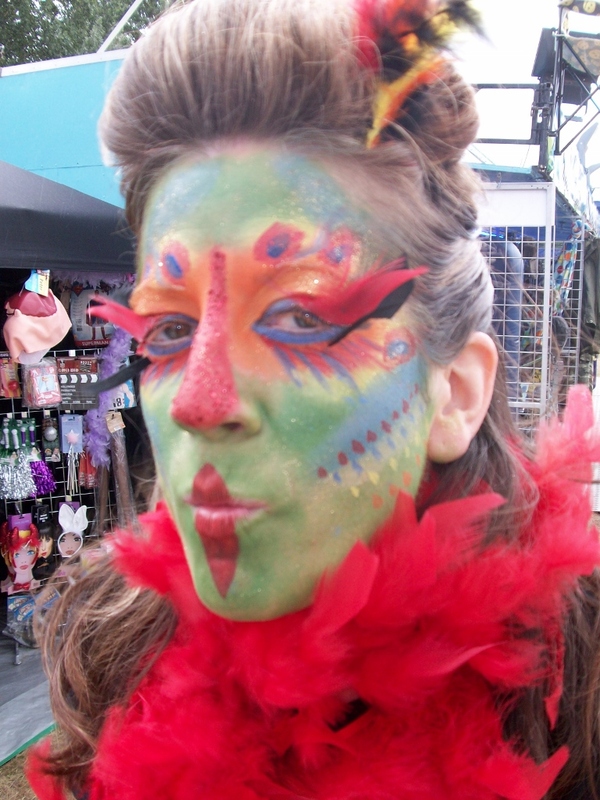 We originally coined the term ‘face art’ back at our second event, the Isle of Wight festival in 2008, and our team have developed these techniques at hundreds of events since. This can work in almost any environment; the more inventive and creative the better. This is definitely not just for kids.